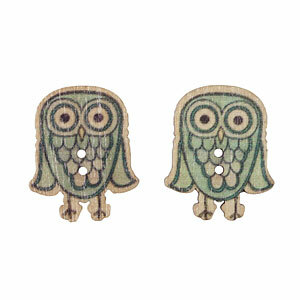 Add just the right touch of whimsy to your handmade projects with these stylish painted wood owl buttons. Sweetly subtle teal and brown will compliment natural colors and tweed fibers wonderfully. Use on cardigans or as an accent to a cowl or hat.